teaching the minimum requirements of the existing PE curriculum. To sustain and improve the provision of P.E. and School Sport throughout the whole school. To identify and engage with those children who are less active and, therefore, less likely to choose sport and exercise as a lifestyle choice. To work in partnership with other organisations and schools to maximise the potential of the P.E. 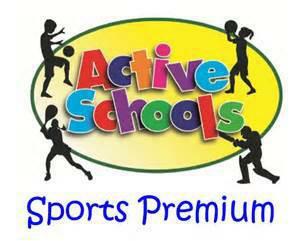 and School sport funding and make best use of the facilities within the school grounds. After-school clubs: gym, basketball, handball, change for life. Sports crew training for intra-school competitions. The curriculum support for teachers has had a sustainable impact on the PE at St Mary’s. In this year it has improved the confidence of teachers in 5 year groups with a particular focus on the teaching of Gym and Games. The playground markings have had a positive ongoing effect on the promotion of activity at playtimes. At St Mary’s Academy, the PE and Sports funding is spent in a variety of ways with the direct and explicit aim of making additional and sustainable improvements to the provision of PE and sport for the benefit of all pupils to encourage the development of healthy, active lifestyles. See data on school website regarding participation rates in sports. I-moves Dance Scheme 500 To enhance teaching of dance lessons Improve teacher confidence. Improved delivery of dance. Provision of clubs through Teamtheme 3,400 To increase provision of clubs with focus on PP children. Higher numbers of pupils participating in outer school hours PE.